I realize that my whole journey to the East looking for Guan Yin the Bodhisattva of Compassion has actually been a lesson in letting go. Letting go and seeing what comes to fill the space created . . .
Searching for Guan Yin follows Canadian-born Sarah E. Truman, a dedicated follower of the Bodhisattva of Compassion, on her travels through China. A popular figure in East Asia, Guan Yin has achieved enlightenment but chooses to remain in this world in order to help others. Because of her extreme compassion, Guan Yin is believed to manifest in a variety of forms to help any one who calls on her. Though Truman admits that imagining this figure anchored to a particular form or place is an illusory fixation—Guan Yin is everywhere, in all things, form and non-form both—the author cannot shake the feeling that she must go to China to find the bodhisattva. And so she does. Like other popular “journey” narratives, Truman’s story sets a spiritual quest against the backdrop of physical travel to a foreign place. 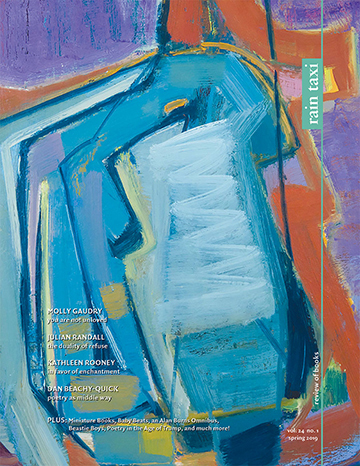 While this can make for good storytelling, providing a vehicle for entertaining tales and lively descriptions of living abroad in China, it also relies on certain Orientalism; it requires unquestioned acceptance on the part of the readers that it makes sense to go to the mysterious East, the seat of spiritual knowledge and wisdom, to seek enlightenment and the meaning of life. After all, one can’t do those things at home. From the minor role of the “natives” who occasionally offer bits of wisdom or chances to ponder the extreme differences between Western individualism and China’s collectivist mindset, the people and places the writer visits serve as a background for her own self-discovery. It is a familiar formula: Westerners with money gain an “authentic” experience of foreign culture, confident in their right to be there but free to go home anytime it gets too real—which Truman does, following her arrest over a Mid-Autumn Festival scuffle and the ensuing unsavory settlement negotiation. Although belonging to a genre that problematically relies on a need to explore, experience, and consume the culture of an “Other” to gain understanding, Searching for Guan Yin occasionally recognizes that it is told from the privileged position of a foreign and comparably rich tourist in a country where a large portion of the population is very poor. 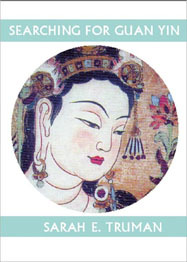 As she travels, Truman uses Guan Yin to connect with the people around her, and introduces her readers into the mythology surrounding the Bodhisattva of Compassion. From the heights of the Tibetan plateau, to the crowded cabaret bars of Nanjing, to the misty island of Putuo, Truman’s search for Guan Yin takes her all over China. Beginning as a hunt for physical representations of the deity, the book ends up chronicling the author’s search for spiritual ease and openness as she chases the vestiges of Buddhism in the modern world.